A New Mexico county on the western side of the Permian Basin, one of the nation’s most important oilfields, is calling for the repeal of the Obama administration’s last-minute “venting and flaring” rule. 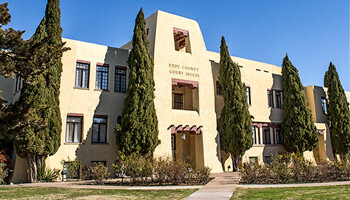 At a meeting this week, the leaders of Eddy County in southern New Mexico endorsed the use of the Congressional Review Act to overturn the new rule, which was imposed by the U.S. Bureau of Land Management (BLM) two months before President Barack Obama left office. A repeal measure passed the U.S. House earlier this month and is now before the Senate, which may vote on the issue as early as next week. “[T]he Venting and Flaring Rule would disrupt existing oil and gas operations and deter any new development activity, thus reducing vitally needed tax revenues that support important state and local governmental services,” the five-member Eddy County Commission said in a draft letter to federal lawmakers, which was approved at their Feb. 21 meeting. The stakes are high for Eddy County and its biggest city, Carlsbad. The county is located on the Western side of the Permian Basin, which stretches across Southeast New Mexico and West Texas. After several years of falling oil prices, the region’s energy sector is starting to rebound, with companies seeking hundreds of new workers on the New Mexico side of the Permian Basin, according to recent reports in the Carlsbad Current Argus. 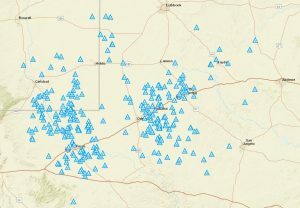 In fact, of the roughly 750 active oil and natural gas drilling rigs in the U.S. today, more than 300 are located in the Permian Basin, according to the Feb. 17 data from Baker Hughes. In addition to billions of dollars of capital investments, the Permian Basin has also captured the public’s attention, following the announcement of a major new discovery in the long-lived oil field. In November, the U.S. Geological Survey (USGS) estimated there are 20 billion barrels of technically recoverable oil in the Permian Basin’s Wolfcamp Shale. The announcement was the largest-ever estimate of oil reserves in USGS history, three times larger than the 2013 Bakken-Three Forks assessment in North Dakota. The BLM rule seeks to restrict emissions of methane, the primary constituent of natural gas, both during the drilling process and the production phase for oil and gas development on federal lands. Supporters of the rule claim it will prevent natural gas from being wasted and result in more royalty revenue. But critics of the rule say just the opposite will occur: The extra red tape will block many wells from being drilled and force others to prematurely shut down due to higher costs, they argue. “Royalties paid to state and federal governments will decrease, new development on federal lands will stagnate and jobs will be lost if the Venting and Flaring Rule is not repealed,” New Mexico Gov. Susana Martinez (R) wrote last month to House Speaker Paul Ryan (R). In the meantime, three western states — Montana and North Dakota – have sued BLM to halt the rule. U.S. Rep. Steve Pearce (R-N.M.), who represents the Carlsbad area in Congress, has also warned the venting and flaring rule’s impact will be “devastating to the economy of New Mexico.” Approximately 40 percent of the state’s operating funds come from resource production, Pearce told Western Wire. “This rule will result in a loss of jobs, diminished funding for education, hospitals, law enforcement, and other essential services, and our economy will continue to suffer,” he said. Martinez and other BLM critics argue that the federal agency could minimize venting and flaring more effectively by approving more pipelines to transport natural gas away from well sites to the markets where it can be sold. But new pipeline projects have been opposed by the Sierra Club, the Center for Biological Diversity and other “keep it in the ground” activist groups – the same groups that have called the venting and flaring rule “a positive step” towards ending fossil-fuel production on public lands completely. The Eddy County Commission raised the pipeline issue when endorsing the effort in Congress, led by Western lawmakers, to overturn the venting and flaring rule with the CRA. The rule “ignores the true reality that in many cases no pipelines exist to transport gas to the plant or no processing plant has sufficient capacity to take the gas,” the commissioners wrote.